To keep your home looking its best designers recommend following this home design tip list and its timeless design rules! Back in the day it was very common to leave the ceiling white if the walls were painted. Today that is not the case. Designers recommend painting the ceiling the same color as the walls or paint the ceiling and not the walls. Believe it or not you are also going to start seeing wallpapered ceilings!! Wait What??? Remember the old adage, “Less is More”?? This is still true! Overdoing accessories actually looks cluttered and quickly diminishes any look that you are trying to achieve. When it comes to displaying collections, keep them in one designated spot and in design friendly cases or shelving. If you are displaying china or dishes from long ago you can use modern accents and lighting to rid the feel of being in “grandma’s house”. Books are a very versatile accent piece. They can be clustered alone or used to add height to lamps, candle holders, and vases. Whether you like old vintage books or modern coffee table books they blend in with any décor. 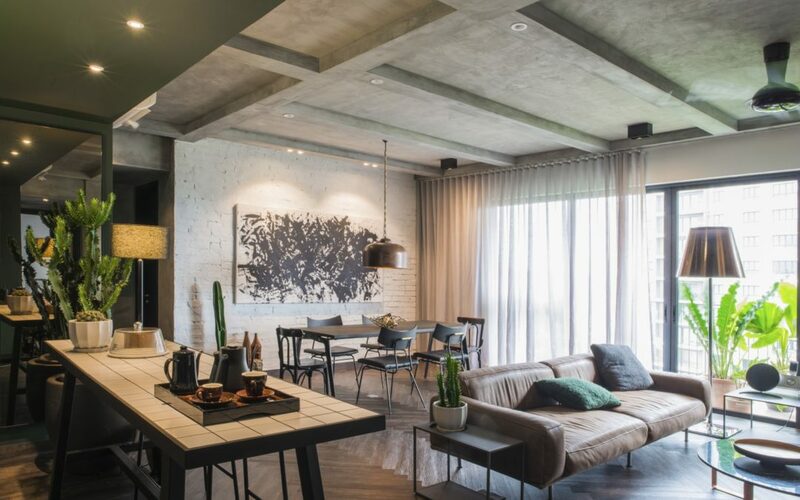 A new design trend that we have seen over the past couple of years is to mix old with new. This works great for a farmhouse feel or a minimalistic modern motif. No home décor is complete without having these 5 design elements throughout your entire home. Most of us are on a budget which can make decorating seem impossible. This is not the case. By investing in a few large expensive pieces of furniture you can change the entire look of your home. By making these items the focal point, there is no need for expensive accent décor. More traditional décor rules preached that mixing metals was a no no! Today’s designers say mixing metals gives character and is a timeless look. Using bronze, copper, brass, and nickel meld well together. If the new industrial look appeals to you this is a quick way to bring it into your existing décor. When shopping for accents and accessories, look for a few unique conversation pieces to strategically place around your home. Pick up some interesting pieces while traveling or visit some local antique and boutique shops. To make your home décor flow and envelope you in every room of your home designers suggest choosing a color palette with 4 to 5 signature colors to use in various was throughout your entire home. Even if the décor theme varies by room, keeping these colors consistent will give a high- end interior design feel. If you are looking to freshen up your home while doing Spring cleaning implementing these tips will quickly do the trick! If you have any questions regarding the design of your home, check out our site to find inspiration!